I have a lot of fabric that's not just for quilts. I have sewn since I was a child and during my high school years, most of my clothing was homemade. If I didn't make it, my mom did. I don't know how many metres I have of this fabric but I thought I would use some of it to make some summer dresses for my twin granddaughters. This was the first one I made. It has straps that crisscross the back. I wanted to try out this pattern. 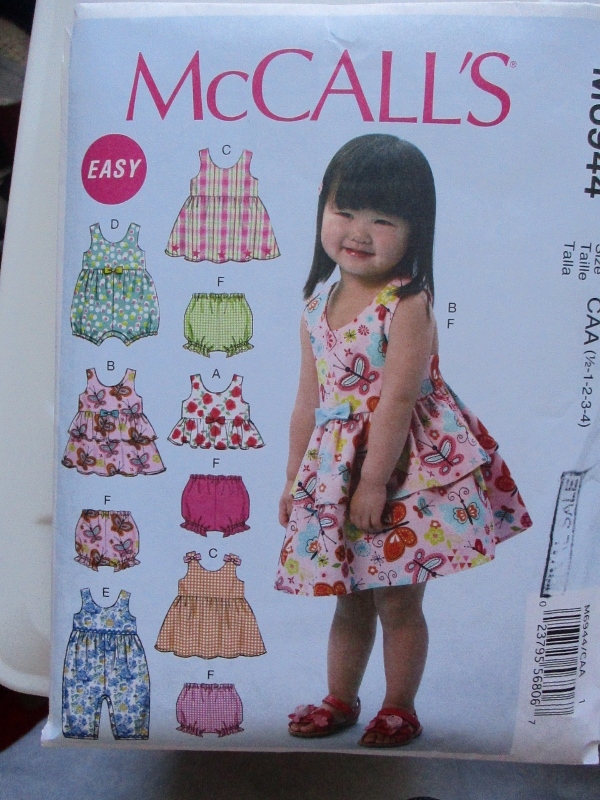 I found that the pattern fit too loosely. This is a different pattern. 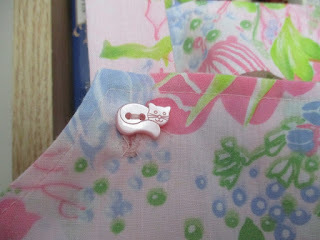 I just happened to find two pink kitty buttons and thought they were appropriate. The girls have a cat named Ben. 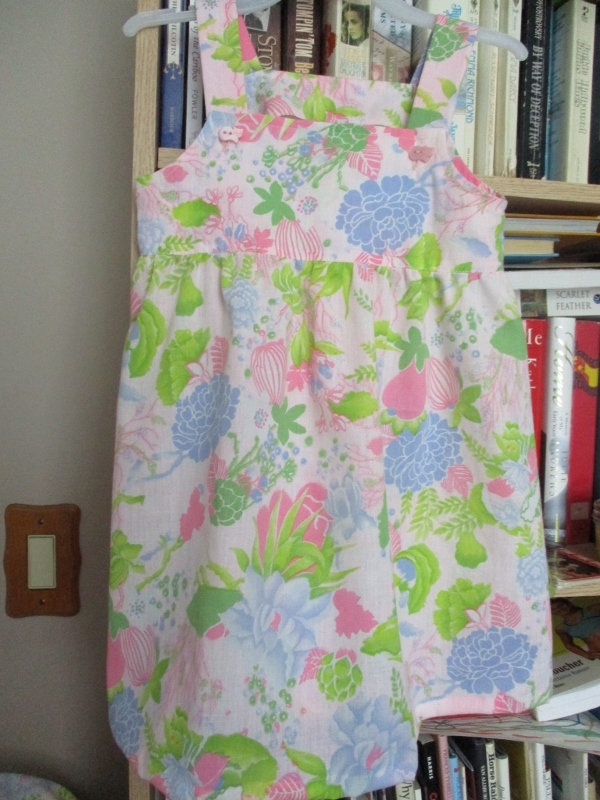 I have had this pattern since my own children were little but it's the first time I have made a garment using it. 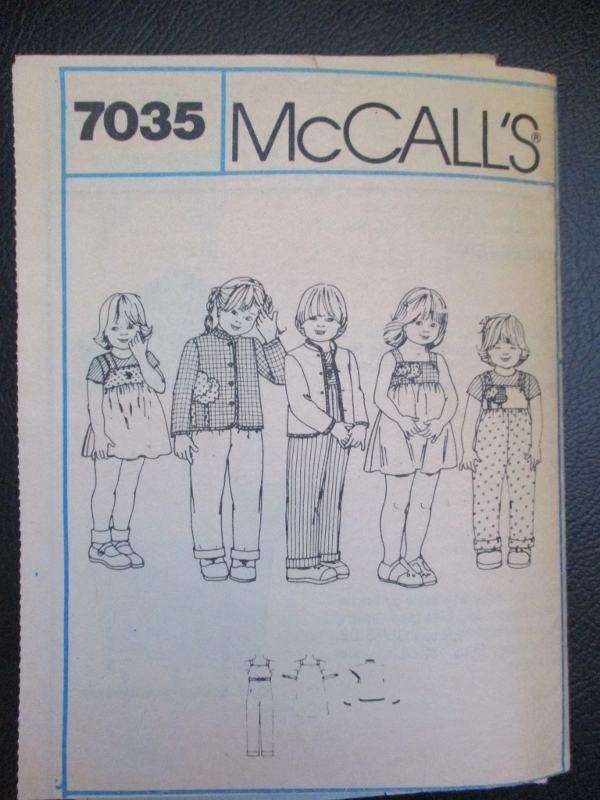 Lovely wee dresses, that is a very pretty pattern. 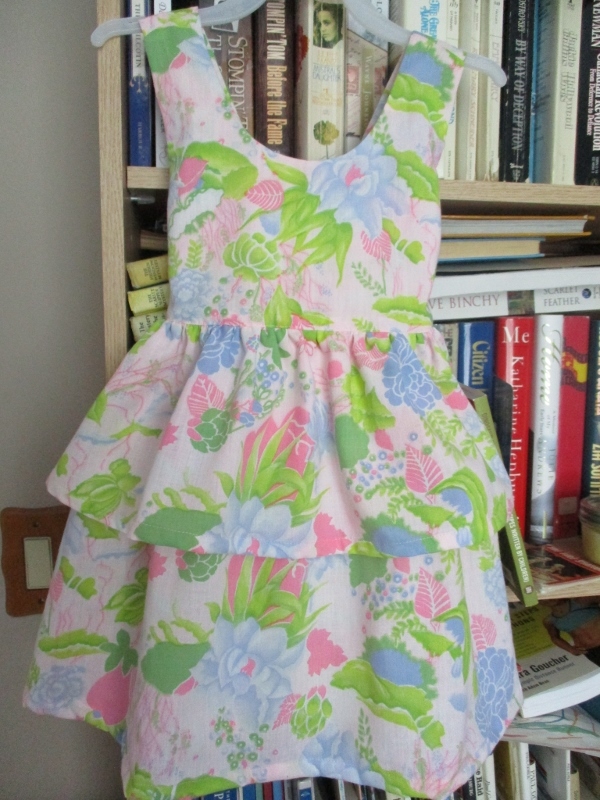 I can imagine the young ladies dancing around in their new dresses like butterflies! Old patterns are often just classic and you can't tell they are old. 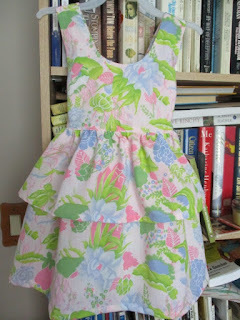 Usually the fashion has only changed from close fitting to loosely fitting, or the other way round. Just adorable and your gnomes are mounting! Dolores, those dresses are so cute. They will love them. Your little ones will look so cute in their new dresses! 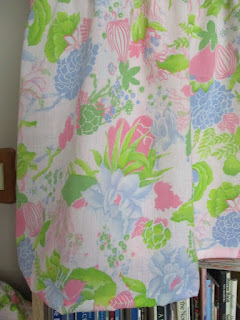 I love that fabric - so pretty for summer.